Let’s Stroll!! At Forgotten Places!! | iRead n Write! 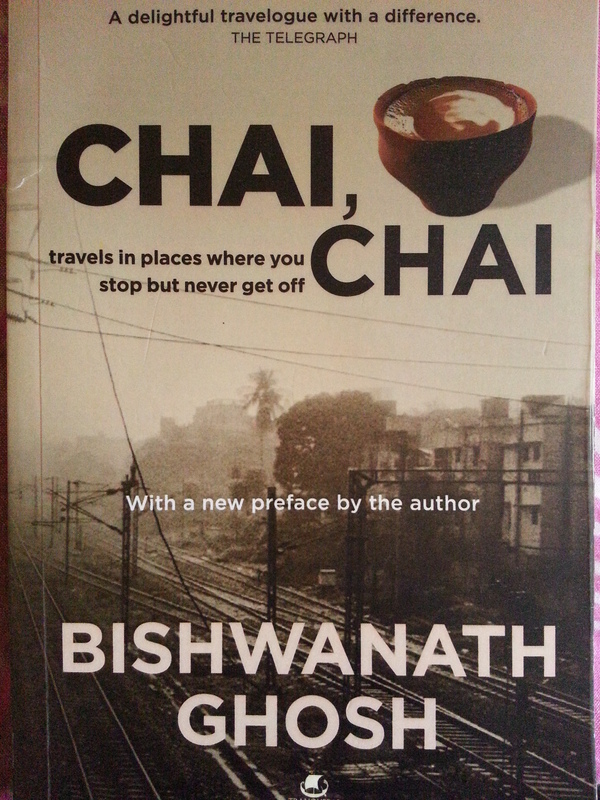 On a lazy evening, when there is pleasant weather, neither hot nor cold, and it invites you for a leisurely stroll, that’s just the perfect time to open ‘Chai, Chai’ by Bishwanath Ghosh, and start reading it. It is one of those travelogues which make you feel “Kaash, main bhi hota waha”, and one of those travel books where the writer actually enjoys the plays and praises the goodness of it, instead of just pointing out -ves of the place (unlike many travelogues, I read ‘The Great Railway Bazaar’ by Paul Theroux and it was full of such anecdotes). Simple language entices you and invites you to just go with this lazy flow and you’ll just fall in the sweetness of these simple words, and let me tell you that this is the debut attempt of the writer, well that’s a good attempt. I highly recommended this book to all those readers who want to enjoy India and esp some places which even Indians ignored. It’s the story of the places where you stop but never get off! 1. Mughal Sarai – Its an important railway junction where all trains stopped, and without the existence of this station no journey can happened as it connects north with east. And it’s vicinity with India’s holiest town Benaras (aka Varanasi) makes it even more enticing. But nobody gets off or get to know this major railway city. And since the author belongs to Kanpur (a major UP industrial hub nearby to Mughal Sarai/Lucknow) and use to travel to Bengal, he used to pass these places more often. 2. Jhansi – This is again a major UP junction, maybe a small city, but it lies on the border of UP & MP, two growing states of India, and in the vicinity you get to enjoy the land of Kamasutra – Khajuraho, which just take the author by surprise and he felt welcomed there. 4. Guntakal – this was once a famous connecting junction for West to South trains, esp Chennai / Bangalore to Mumbai also attracted the author to give it a visit, hence find a place in his book. He not only visited these places but got the idea of the history of these places. 5. Arakkonam & Jolarpettai – These small stations lies nearby Chennai, the now home of the author, he always get fascinated by these places, and he want to spend a time in a place which is more likely an outer suburb of Chennai but not actually Chennai. Though his experience of Arakkonam was very bad. Jolarpettai was also not such a good experience for him, he even visited nearby less-known small hill-station Yelagiri, where also he didn’t get so acquainted with. 6. Shoranur – This was one important junction of Kerala which author enjoyed because of its simplicity, and his visit to one nearby hill-station Nilambur, where the train journey was more enjoyable than the place, where the train passed through teak plantations and jungles gave author an enjoyable ride. After completing this book in 14 days at a rate of 15 pages per day, I just got used to it, the smell, the feeling of visiting so many unknown places urges me to go these places by myself, I also have these thoughts whenever I travel by Indian Railways, that what about the cities at whose stations my train in stopping, and I would actually want to relive this experience as done by author (and I also love trains). But I wanted that Bishwanath should actually cover more stations, or make more parts of the book, since the read of this book of him left me half-hungry, and I wanted to read more and more. Maybe now I wanted to look for some more travelogues, had some options in my mind, either I will order a mountain-climbing like books, or maybe subscribe to National Geographic magazine, vaise currently I am also reading’Hawaii’ by James A Michener which will certainly feed to my hunger. This book was first published by Tranquebar in 2009, I got this book for Rs.147 from Flipkart, and its a good money investment, not a big book, just 200 odd pages. There are I guess 2 more books written by Bishwanath Ghosh – Longing, Belonging & Tamarind City, maybe I’ll get my hands on them soon. But if you’re a travel-lover, buy this book and enjoy the feel. My Rating 6.5/8. 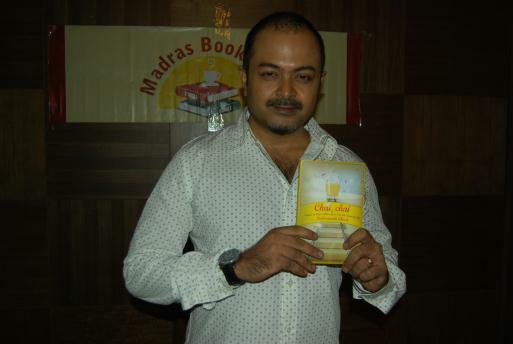 This entry was posted in Books, English, Indian and tagged 2009, bishwanath ghosh, book, chai chai, english, Indian, non fiction, tranquebar. Bookmark the permalink. 1 Response to Let’s Stroll!! At Forgotten Places!! Pingback: What is Chennai? | iRead n Write!